This babe of a party appetizer recipe has been sitting in my queue for months. Um...a lot of months. I call it Strawberry Shortcake Brie (Straw-Brie Shortcake, for fun! 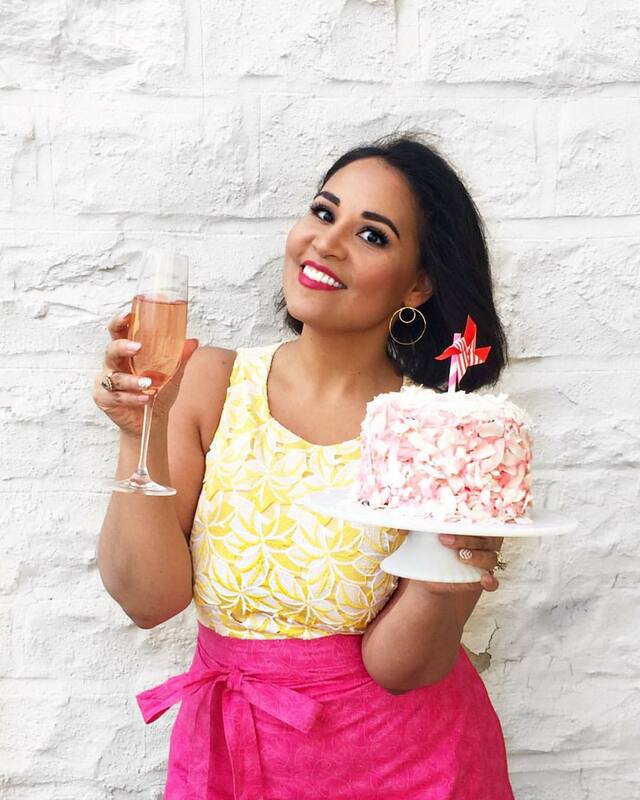 ), and it's a play on a classic strawberry shortcake dessert, swapping in brie cheese for the cake. 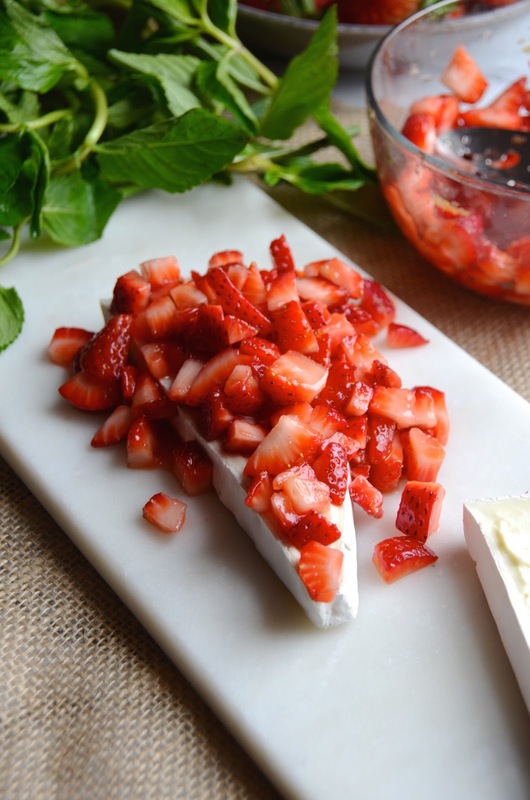 Sweet macerated fresh strawberries layered between slices of triple cream brie. It's a fun, colorful, and gorgeous appetizer to share at a party. You start out by prepping the fresh strawberry filling. 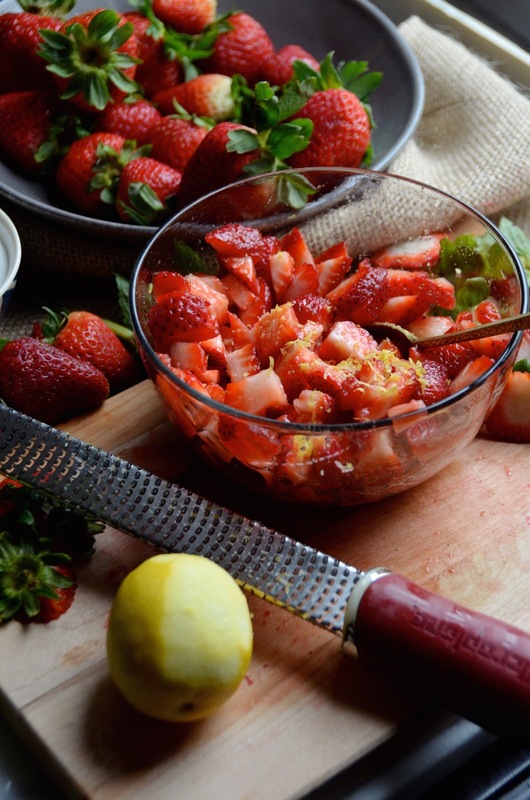 Just diced strawberries and toss with a bit of sugar and fresh lemon zest. Let it sit for a few minutes to get the juices out. Assemble it just before you're ready to serve (you don't want this sitting out for ages as it can get soggy). I used a wedge of brie, but a small round wheel works, too. 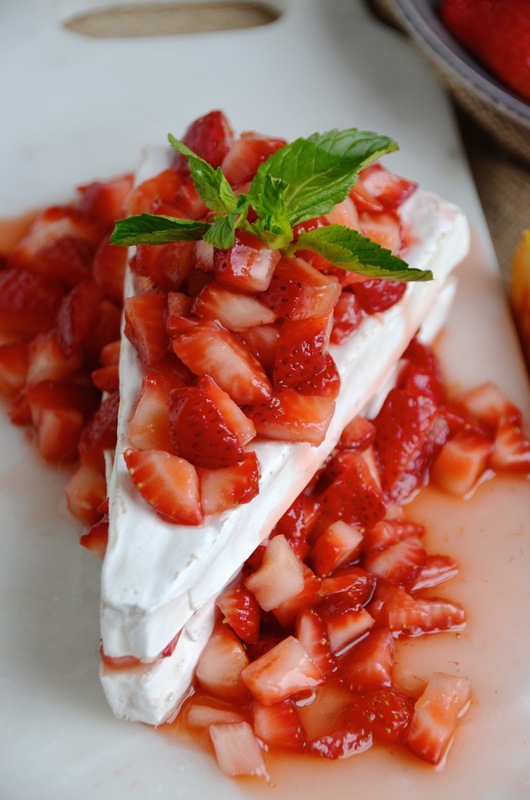 Just slice in half lengthwise, layer with the strawberry mixture, garnish with fresh mint, and serve! Crackers or some good crusty bread would be perfect along with this. 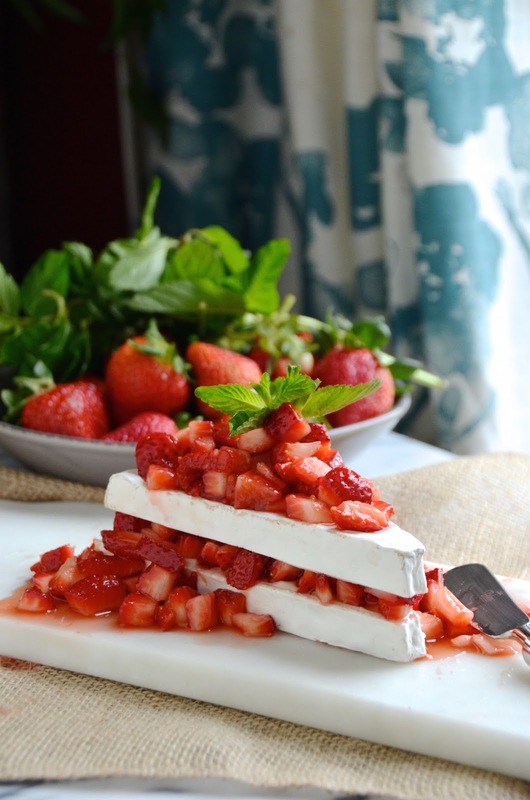 I love the combination of fresh, sweet berries with the creamy brie. Dice strawberries and combine in a bowl with sugar and lemon zest. Toss to coat, then let sit 20 minutes to draw out the natural juices. 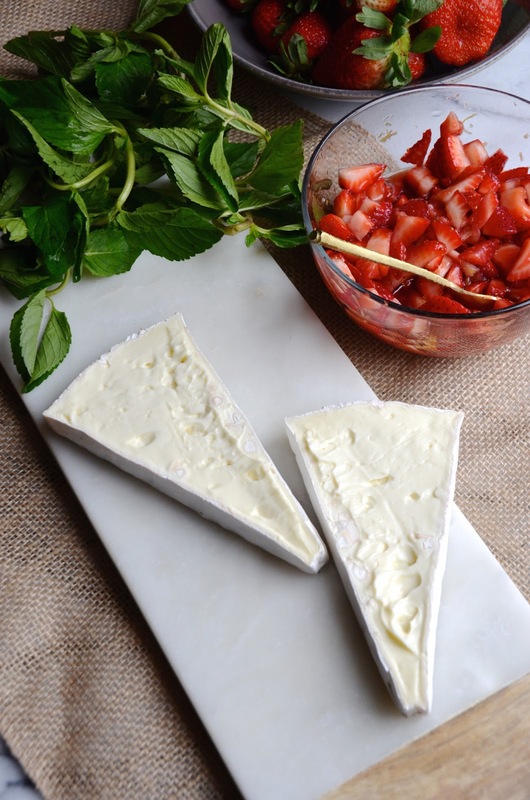 Just before serving, slice brie in half lengthwise and layer with strawberry filling inside and on top of brie. Garnish with fresh mint and serve immediately along with crackers or bread.